Another day another post, after medical and technology it’s now time to look at the basic of life: eat and sleep. With an eye on the stats and reports produced by fellow riders it looks like my time will be equally divided between camping and hostel/hotel/hosted accommodation. While hosting will be mainly existing expat friends, new found friends, or a combination of couchsurfing and warmshowers, camping will entail a whole lot of kit which I’m listing here. 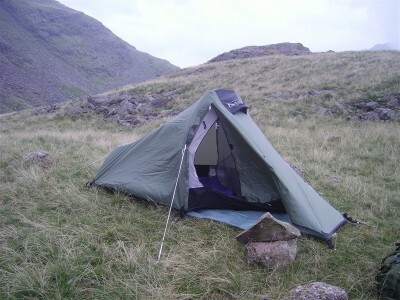 Tent, I’m tarting with my Pro Action – Tiger Paws tent. I know it’s not up there with the best but I have it and I’ll use it until it kicks the bucket. A Thermarest Neoair X-lite mattras. It has been suggested that comfortable sleeping is essential for good riding, I’m inclined to agree. Sleeping bag liner. Got this silk mummy liner from decathlon, looks like a good idea to protect the sleeping bag or to use when it’s too hot for a sleeping bag. Hammock with inbuilt mosquito net. Might have to think about rain cover for this but the dream of sleeping off the ground looking at the sky is worth the effort in carrying this extra bit of kit. Light. Not yet sure what to do about this, probably look at some wind-up light. Multi fuel stove: I went for the Optimus Nova as it’s small and the reviews are ok.
2x fuel bottles: Just ‘cos I have them, I suspect I will give one away to someone that looks like he’s in need of it along the way. 2 ORTLIEB 4L Water bags, I figure they take little space when the plastic bottles are sufficient but they have good carry capacity if I feel like spending a few days away from the track. 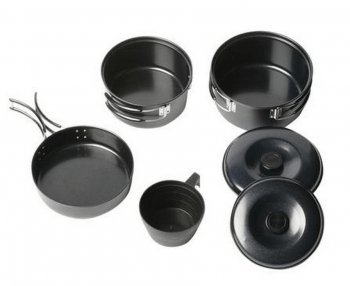 Non stick cooking kit from Millet. It’s light, packs small and has more than I need. Spirit flask. My wife gave it to me too many years ago and I think it’s going to prove a life saver when an extra gear is required. Katadyn water filter. The community seems to be split on this with many not bothering carrying this or regretting getting one but as a neofite I think I’d better pack a small one. Other than that I think I’ll make extensive use of local cooks, either by the way side or in eateries. Hey what’s the point of going places if you do not sample the local food cooked by the locals. Good to see you this afternoon. Shirley and I will be following you all of the way. Looking forward to meeting up somewhere.